The UK and Azerbaijan have long enjoyed top-level relations, especially in the energy sector. The exploration, production and transportation of oil and gas have been at the heart of this bilateral co-operation. Are there areas other than energy that the UK might focus on in the near future? This was amongst the questions that Visions’ Jeyran Bayramova put to the British ambassador to Azerbaijan, H.E. Irfan Siddiq. Energy is a major element in bilateral co-operation, but we also co-operate in the fields of trade and investment, education, international affairs and regional security and we are looking to develop these areas of co-operation even further. The UK has great expertise in important sectors such as education, ICT, healthcare, financial services, renewable energy and infrastructure. There are already around 300 British businesses active in Azerbaijan and many of these are in non-energy sectors, such as construction, retail, education and ICT. Tourism and sporting links are also strong and British companies are keen to work to support Azerbaijan in its successful delivery of the 2015 European Games. The UK has also a strong history of economic diversification, particularly as we transformed our economy in the 1970s and ’80s from one that was heavily industrial, to one that was modern and service sector oriented. I want to find ways in my time here to use the UK experience to support this process of diversification. According to the statistics, the UK is still the largest foreign investor in Azerbaijan, with, as you said, some 300 British companies operating in the country. Thus, last year British investments amounted to 51.7% of all foreign investment. How does this level of investment impact on the UK’s foreign policy towards Azerbaijan? The dominant position the UK holds, as the largest foreign investor in Azerbaijan by far, means that Azerbaijan is a very important partner for the UK. Our companies do vital business here and so developing a deep and stable bilateral relationship that can support the ongoing economic co-operation remains important. It means we pay a great deal of attention to the regional political situation and want to work with Azerbaijan to improve regional security, resolve long standing conflicts and facilitate greater regional co-operation as a means to promote greater security and prosperity for all. To continue the focus on energy, I would like to ask you about BP, the British company that is the biggest investor in Azerbaijan. What is your view – is BP a company that is here simply to earn money, or does it pursue other interests? If yes, what are those interests and what kind of changes will they effect in Azerbaijan? BP is a responsible commercial organisation. It is one of the biggest and most professional companies in Britain. The primary motivation for BP is commercial, to work with Azerbaijani partners to bring Azerbaijani resources to world energy markets, help the Azerbaijani state earn revenues from the sale of these resources and make profits in the process. BP is a sophisticated organisation and it understands that to do so successfully it needs to work very closely with Azerbaijani partners, to give as much to Azerbaijan as it takes and to work for the development of the country directly, through investing in education and technology transfer, and indirectly through its corporate social responsibility programme. So I am confident that BP’s objectives are supportive of Azerbaijan’s development goals, but that its direct interests are purely commercial. The Britain-Azerbaijan Business Council was established four years ago and has played quite an important role in developing mutual co-operation. Given the fact that the number of businessmen in Azerbaijan has increased in recent years what would be a successful formula for this co-operation to continue? The UK government has launched a new initiative to establish British Chambers of Commerce overseas to support British businesses. The initiative is currently in a pilot phase, but if successful, I expect it to be rolled out quickly to other dynamic economies, like Azerbaijan. This would be the vehicle through which the UK government would seek to support the increasing demands of British businesses in Azerbaijan. The UK was one of the first countries to recognise the sovereignty of the Republic of Azerbaijan but the problem of Nagorno-Karabakh has remained unresolved since the end of the 1980s. 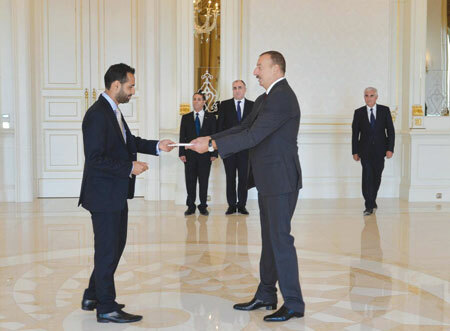 Many here in Azerbaijan have searched for alternative methods of conflict resolution by turning to the positive experiences of other states that have faced similar problems. The UK is involved in the Northern Ireland conflict that has moved a long way towards resolution. Do you think that the conflicts in Northern Ireland and Karabakh have anything in common and could Azerbaijan make use of British experience? One issue that became very clear to me on arrival is just how painful the unresolved Nagorno-Karabakh conflict remains. The suffering of so many refugees displaced from their homes is intensified by the lack of progress on a resolution to this conflict over the last 20 years. I remember growing up as a child and having my political consciousness sparked by the injustice of the occupation of Palestinian land. 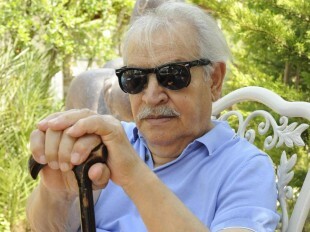 The suffering of the Azerbaijani people is similarly painful. But ultimately every situation is different according to the specific characteristics of its history. So although there are some important lessons that could be learnt from the experience of Northern Ireland, such as the need to build links between different communities and to establish a common vision of an end state, any solution has to be one that the people involved can themselves support. The UK is keen to see a peaceful resolution to this conflict and remains willing to work with the OSCE Minsk Group co-chairs, the parties and others to achieve this goal. 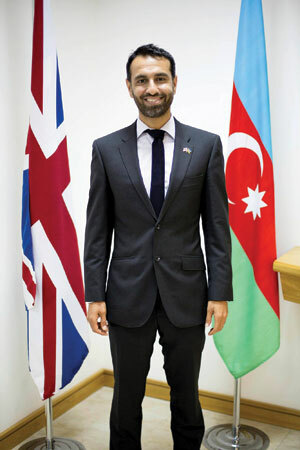 The UK is a major destination for Azerbaijani students who wish to continue their education abroad. Almost one-third of them have taken advantage of British university education. How do you think they and their country will benefit from their studies and experiences in the UK? Education is a very important area for co-operation; there are strong and valuable links between Britain and Azerbaijan in the field of education. In recent years, for instance, we have seen significant numbers of Azerbaijani students coming to study in the UK, with government support, through EU Tempus and Erasmus programmes, or through their own initiatives. We welcome this exchange. Each student is an ambassador for his or her country, and each student enriches our cultural life, and broadens the educational experience of the UK students they study alongside. But there’s more. Through academic co-operation, through good partnership development, UK and Azerbaijani universities can develop the strength and depth of the whole education sector in each country, to mutual benefit. We’re building an international future, and a lot will depend on the opportunities we can provide. 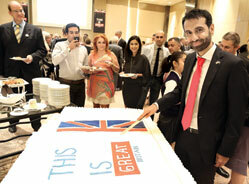 The European Azerbaijan Society (TEAS) was established by alumni of one of Britain’s universities and celebrated its fifth anniversary in December. What do you think of its work and what would you recommend for its future activity? The European Azerbaijan Society has done a huge amount to raise the profile of Azerbaijan in the UK and to lobby effectively for greater understanding of Azerbaijan. I congratulate TEAS on this fifth anniversary and look forward to continuing to co-operate with TEAS to promote UK-Azerbaijan relations. What expectations did you have when you came to Azerbaijan as ambassador last September? Was there anything that surprised you? I think Azerbaijan is a tremendously dynamic and creative country. It has a rich culture, vital energy resources, an important geo-strategic location and is playing an increasingly important role in world affairs. 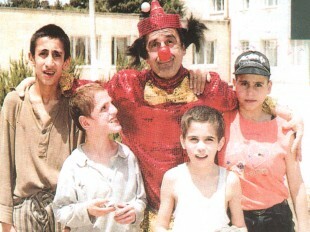 For this reason, I was keen to come to Azerbaijan. That it is a country of tolerance and co-existence and that it is one of the most climactically diverse countries in the world, with great natural diversity and beauty. I’m happy to say that my early experience in Azerbaijan has confirmed my expectation that this is a place rich in culture, history and nature with much to offer to visitors. What aspects of social and cultural life here have made an impression on you? Do you think that Azerbaijan is more European or Asian as a country? I’ve been struck by how hospitable and friendly the Azerbaijani people are. The warm hearted and generous nature of the Azerbaijani people is something that my wife Penelope and I have been touched by. I did a lot of reading about Azerbaijan before I arrived. Ali and Nino, of course, but also books on history, politics, culture and society. So I was fully aware that Azerbaijan has a long and rich history, that it was a pioneer in many ways, both in the energy industry, but also in establishing the first Democratic Muslim Republic, with equal suffrage for women. An instinctive orientation towards Europe, particularly on energy, has helped act as a counterweight to the big regional players who have historically dominated Azerbaijan. But this approach has been skilfully balanced in a way that ensures that relations with Russia and Iran are cordial and productive. Unfortunately, this has appeared to temper Azerbaijan’s enthusiasm for European integration. This is perhaps understandable, but as a European, I would like to see Azerbaijan come even closer to the rest of Europe and embrace the relationship more strongly.